We build beautiful product on WordPress CMS. We mainly focus on Quality of code, user friendly design with incredible support. Our themes can help you to create your beautiful websites in very few steps. Our product have clean and well organize code. We love to organize our coding and it’s structure. We do not write code to just solve the problem. We always aware about the methodology and coding standard. All of our WordPress product are translation ready product. We know you want to use our product on your native language, so we take care about this. We know you have different types of queries about our product. We love to support you. We have different support plan free, premium and ultimate. If you need any help related to our product, just email us, we will solve your query shortly. If you need extra support with our product customization service. Our team is always ready for that. We have premium support plan with our product customization service at affordable price. 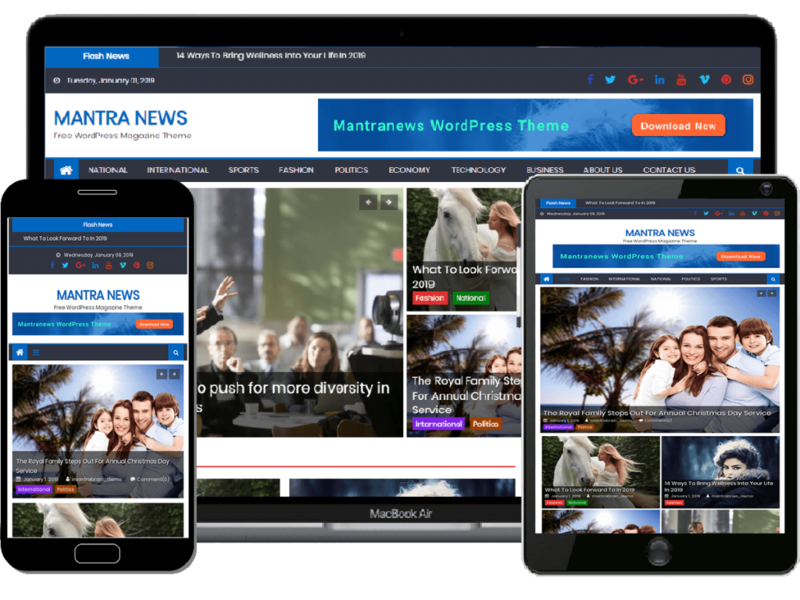 Mantranews WordPress theme is free magazine style WordPress theme. This theme is mainly applicable for news portal, personal blogs, creative blog, publishing house and any kind of informative websites. Mantra Brain is WordPress Theme and Plugin development company. We are WordPress enthusiastic team. Basically, we want to make better things on WordPress.